The battle bus made its first and last Welsh tour stop in Swansea’s Liberty Stadium for the third qualifying round of the tournament. Players travelled from Swansea and beyond for their chance to battle it out for a spot in the Stamford Bridge Finals for their chance to win £25,000. It’s true that nothing gets a crowd warmed up like a dance contest and whether fans were asked to do their best Floss or Orange Justice, they definitely delivered. 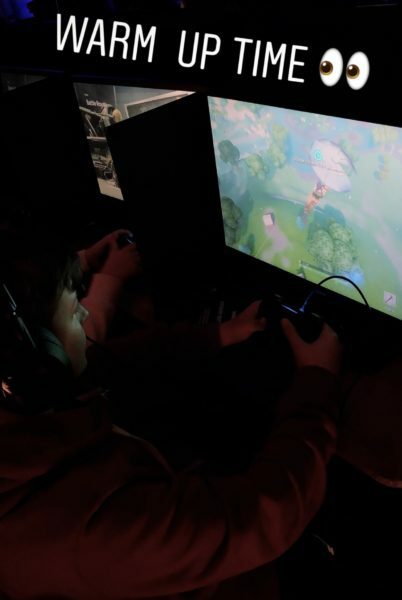 Our Fortnite battleground was set to test the skills of Welsh gamers as well as our special guest, Swansea Star Joe Rodon. Walking through the battle bus the excitement of both fans and gamers was evident as they prepared to play in a tournament that both brings the game to life and tests the skills of gamers right across the nation. The next round of the tournament takes place in Dublin’s Croke Park. Who will join the list of finalists making their way to Stamford Bridge on 31st March to claim the grand prize of £25,000?